The reasons are quite convincing but personally I can’t imagine not having kids. 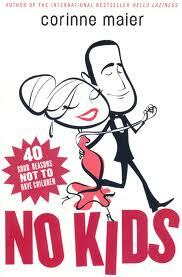 I think this book may be more serious for those who don’t have and don’t want kids and more humourous for those of us who do. My only real problem with the book is that the author has children and openly says she regrets having them. That’s sad, I feel sorry for her kids. I think either a woman with children should have written the book as humourous (which it’s NOT listed under) or a woman without children should have written it as is. Links of Interest: No specific website but a search will result in many articles both agreeing and disagreeing with the author. 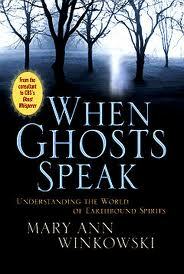 Books about ghosts always bring out the skeptics. I don’t think everyone who claims to talk to spirits really does but I do believe there are those out there who can. I believe Mary Ann really does talk to spirits and the fact that she is the consultant for the TV show Ghost Whisperer makes me believe a bit more too. That means a TV station has faith in her too doesn’t it? I was intrigued throughout the whole book. There were a few parts that seemed a bit unbelievable but just like when you are talking to a live person and you can misunderstand what they say, I think it’s possible she misunderstood the ghosts sometimes. I will admit that there seem to be a lot of ghosts hanging around, at least in her book. However I think it just seems more common than it is because she’s only telling the stories of when ghosts are around. It’s been a while or I’d have a more thorough review. I’d like to recommend you check out the reviews on Good Reads and the few linked below for more information. If you are a regular visitor to this blog, you know I don’t read much adult fiction but I have always been intrigued by philosophy and figured a fictional book would be easier to understand. I’m glad I read this book. I’ve never been great at reviewing fiction and it’s been way too long for me to review in detail but I do remember the basics of the story and that I enjoyed it. It was a little slow in certain parts before she gets pregnant but after that, the story is captivating. References to philosophy are just enough to be interesting but not dry. It inspired me to look up philosophy a bit more although I haven’t found a good nonfiction book that I can understand on the subject. *All books were received in exchange for a review if I finished them. All opinions are honest and are my own.